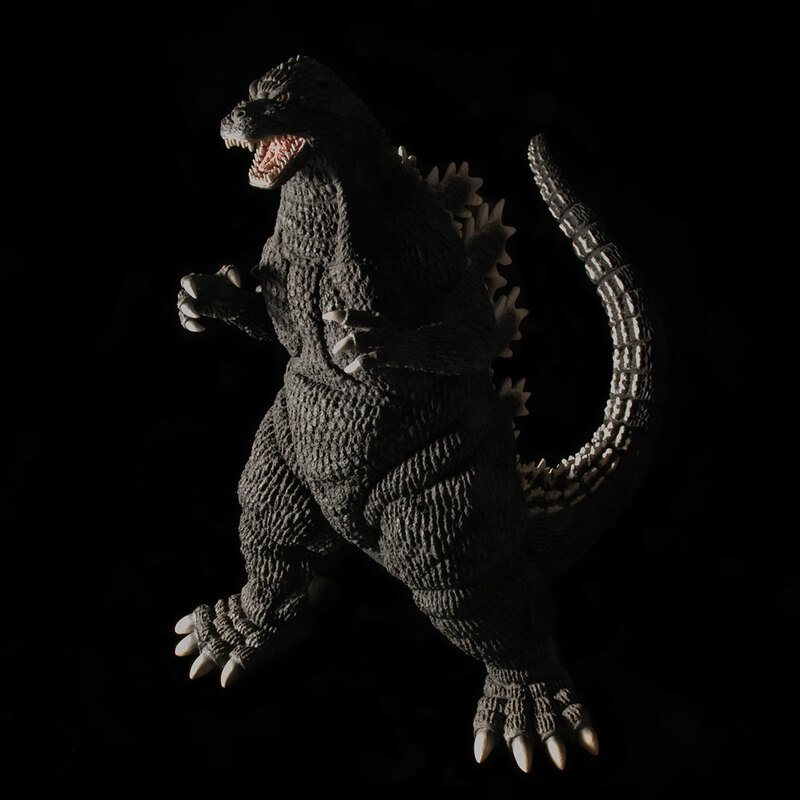 Leslie Chambers reviews the Toho Large Monster Series Godzilla 1984 Standard Version vinyl figure by X-Plus. GodzillaFanFreaks reviews the Toho Large Monster Series Godzilla 1984 (東宝30cmシリーズ 「ゴジラ（1984）」) North American (Diamond) Reissue vinyl figure by X-Plus. X-Plus returns to The Monster Report. Nick Adam unboxes the 12in Series Godzilla 1984. This is the North American (Diamond) Reissue just released here in the states. 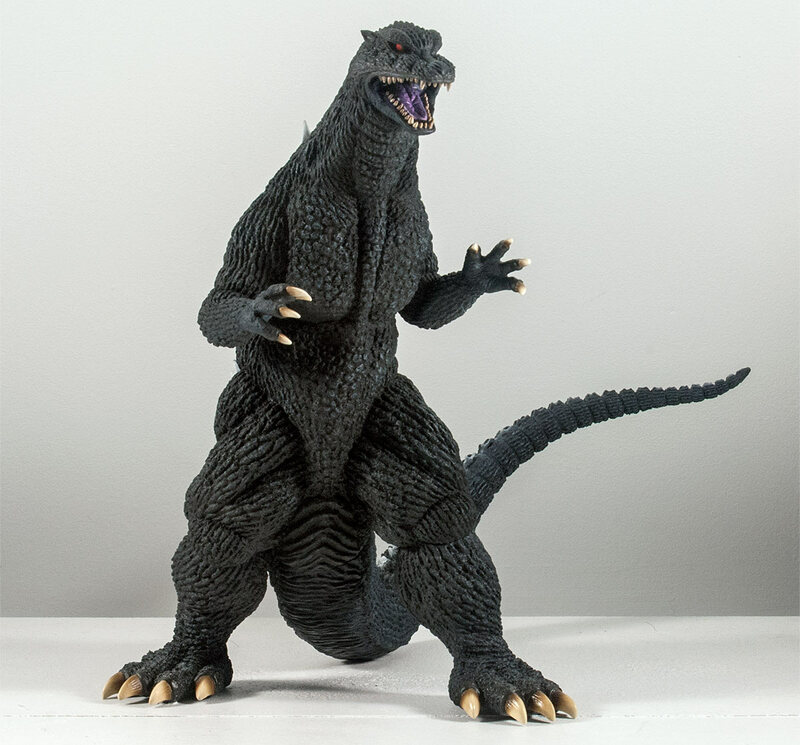 It’s a reissue of the Toho 30cm Series Godzilla 1984 newer variant with the night-time paint scheme. This figure is Available NOW! You can grab one from (through Flossie’s) for $139 or at your local comic store. The Toho 30cm Series Godzilla 1984 (東宝30cmシリーズ 「ゴジラ（1984）」), originally released in 2013 is getting another reissue with tweaks. 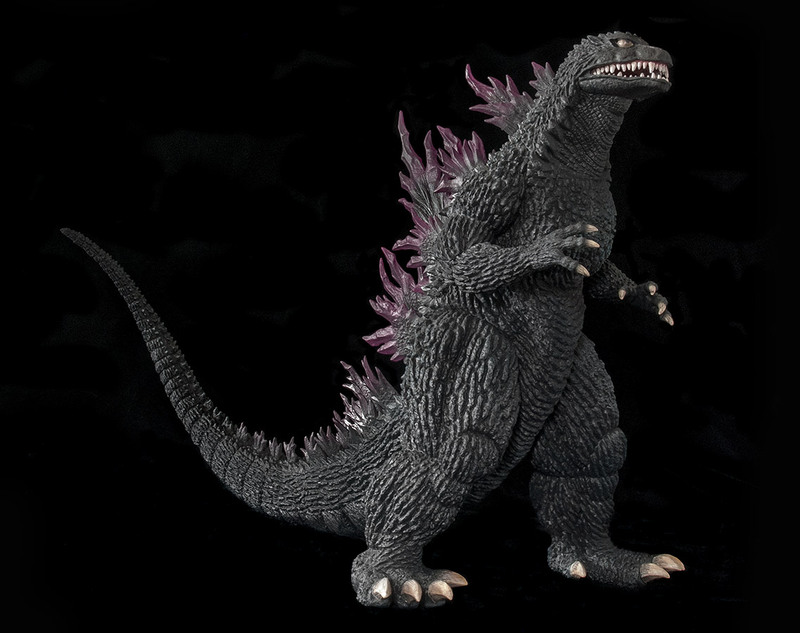 X-Plus recently announced the upcoming Toho 30cm Series Godzilla 1984 – Shinjuku Decisive Battle Version. And it’s coming with two significant new features. The figure will come with a light gimmick. The dorsal spines will glow with light when you connect the “battery box” to it. Contrary to early online discussions: all three rows of fins will emit light. And, the figure will have an alternate paint scheme. I’m really not sure what they’ve done other than add dusty highlights. I’ve read online that the skin is darker but going by the photos, it looks the same as the original to me (except for those highlights a plenty). The dorsal fins are also different in that they aren’t as white as the ones on the original. Perhaps this is due to the material being translucent vinyl. This figure will be available as a Ric Boy only and preorders can be made only on the X-Plus Ric Boy site. There will not be a standard version. Preorders will be taken until August 30. It will run you ¥20,000 (about $199 USD). Apparently this figure will have a limited production run and all order may not be filled. There is a 2-figure limit for each household. If you are a Facebook regular and know Mike Johnson and Jamie Davies, this is definitely a figure you’d need their help getting! It’s expected to ship in late September / early October. • See more photos of the Godzilla 1984 Shinjuku Version at the Ric Boy site (Japanese). • If you know how, Preorder the Godzilla 1982 Shinjuku Version at the Ric Boy Online Store (Japanese). Note: a North American reissue of this figure in its original state (sans the light gimmick and highlights) will be released in the United States and Canada (through Diamond Distributors) in November 2016. It has an MSRP of $160 but will be available for less from most of your favorite U.S. X-Plus stores. 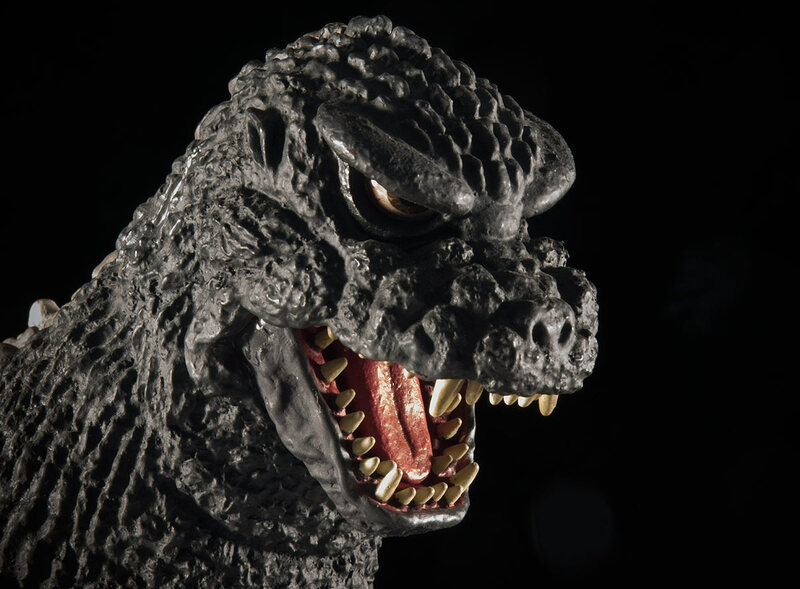 SciFi Japan just posted a TON of GLORIOUS high resolution photos of the upcoming North American reissues of the 30cm Series Godzilla 1984 (1985), Godzilla 1992, Godzilla 1999 (2000) and Final Wars Godzilla 2004 vinyl figures. 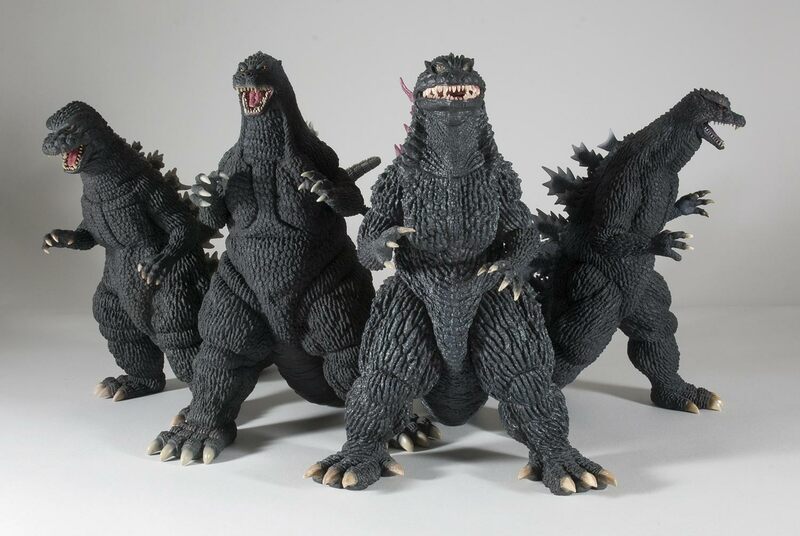 If you want to see even more of the amazing detail put into each figure up close, goto SciFi Japan’s X-Plus USA Godzilla Series 2016/2017 Lineup from Diamond post. And, keep going back. SciFi Japan publishes hi-res X-Plus photos every month. Bookmark ’em! 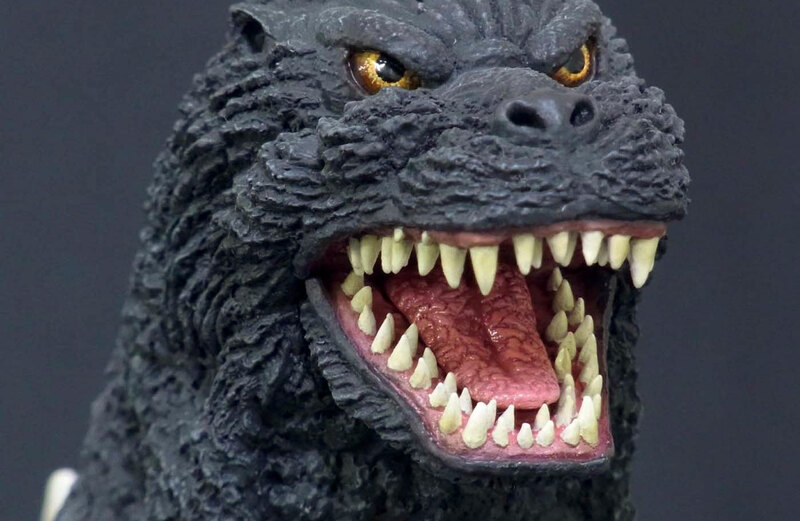 Leslie Chambers reviews the Toho 30cm Series Godzilla 1984 vinyl figure by X-Plus. This review covers the original release. A North American re-issue is soon expected to be distributed by Diamond Distributors. John Ruffin is, by far, one of my favorite X-Plus diorama photographers. His latest creation features Godzilla 1985 (going by the Dr. Pepper billboard) among N-Scale buildings. He also hid some plugs in the photo. Can you find shout outs to Kaiju Addicts, Rich Eso and Skreeonk? Get a quick look at more of John’s photos from his own Gallery here on Kaiju Addicts. 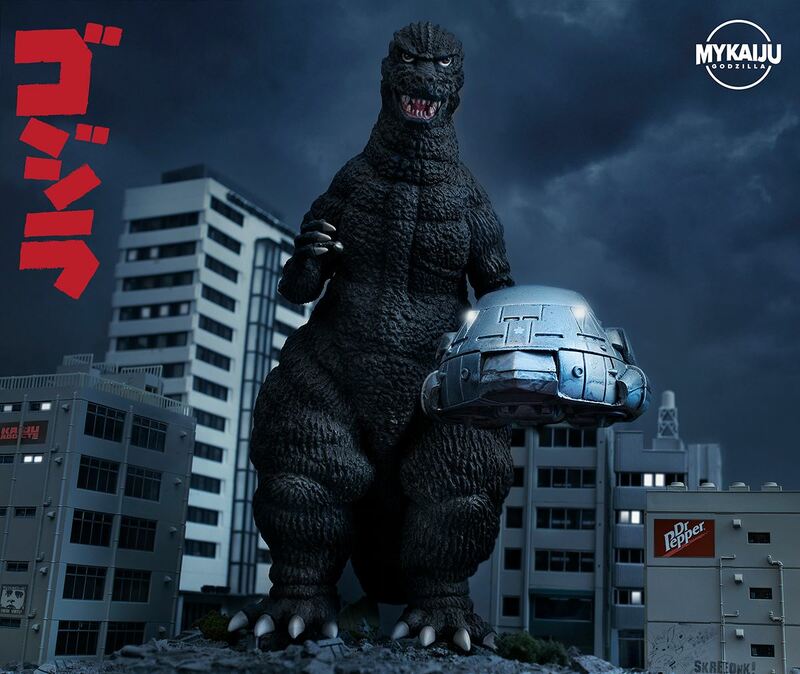 And get even MORE by visiting his website MyKaijuGodzilla.com! 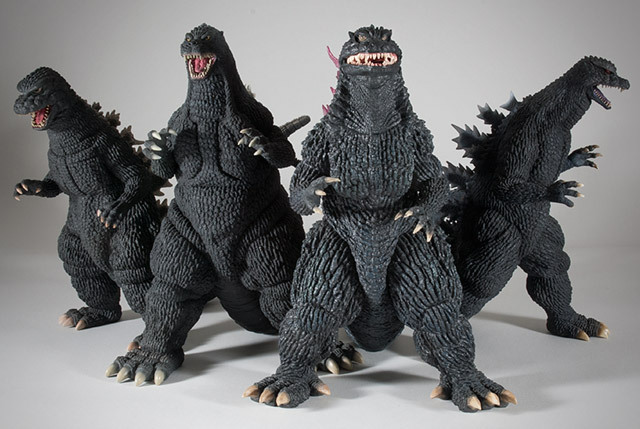 Rich Eso reviews the Toho Large Monster Series Godzilla 1984 vinyl figure. 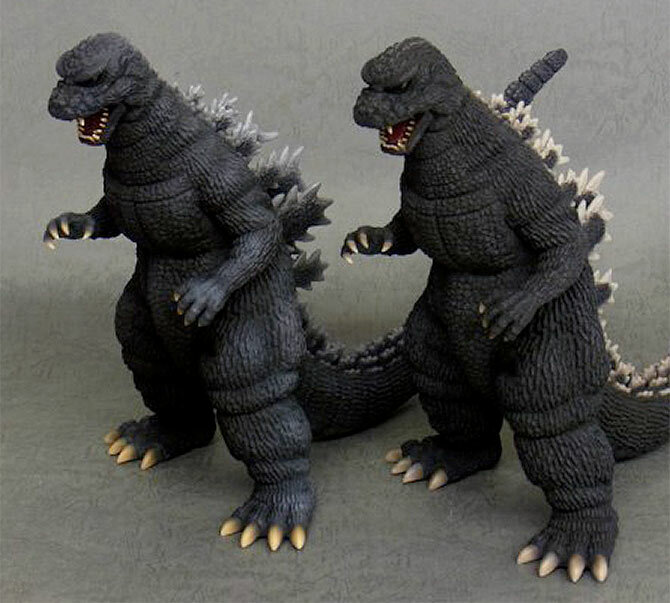 GojiFan1993 reviews the X-Plus Toho 30cm Series Godzilla 1984. Since its release in 2013, it has become rare and pricey. But there is hope that the Diamond/X-Plus Reissues will continue in 2015 and include this must have figure. Also check out the Kaiju Addicts Godzilla 1984 Vinyl Review here. RedShoulderReviews reviews the X-Plus Toho 30cm Series Godzilla 1984 東宝30cmシリーズ 「ゴジラ（1984）」 vinyl figure which was released in April 2013. See more videos at the RedShoulderReviews Youtube Channel. And see the Kaiju Addicts X-Plus Godzilla 1984 Review Here.